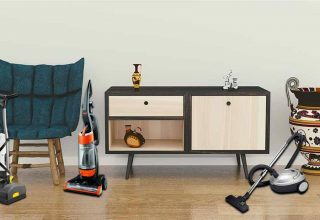 For your cleaning needs, you need to have knowledge about different parts of vacuum cleaner. 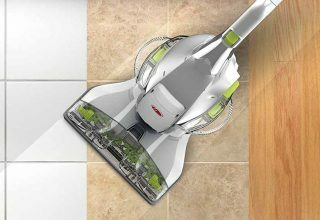 It’s the vacuum which can perform in different part of your house and make them dust free, clean, shiny and allergen free. So, it’s better equipped with all the essential tools that will save your time on cleaning. but for that, you have to well inform all the parts of the vacuum cleaner. In before, when a vacuum cleaner broke down most of the users either sent it away for repairing or just replace with another one. If the repairing center rejects the product by letting know its unrepairable, there is no option left but dumping the poor cleaner. But fortunately time has changed and now we have better options to repair parts of the vacuum cleaner to make them workable again. Click here to buy the best shark vacuum and others with affordable price. Here you will found all the important parts of vacuum cleaner that play a crucial part of its entire lifeline. Have a look below. A motor is the heart of any machine so does the vacuum cleaner. Its attached to a fan which forces air over the exhausted unit. The suction power and performance all depend on this motor power. High power motor offers more sucking capabilities eventually but you should look other factors a well to determine the best performance of a vacuum cleaner. Maximum full range vacuum cleaners use power cords to penetrate current to the internal unit. The Cords can come with different length. Its depend on vacuum models though and also type of vacuum cleaners like tile floor or pet hair vacuum or more. Many vacuum cleaner has a useful feature to retract cords. They have an automatic switch to retract power cord inside the cleaner. But for others, you have to wrap them manually. 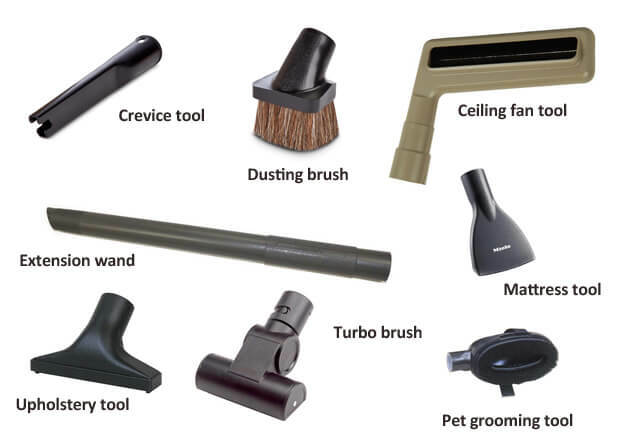 Many vacuums offer cleaning wands with different attachment and extension. You can use them for cleaning ceilings and other spaces where other traditional attachments cannot reach. Some vacuums have electrified wands that can be connected with power nozzle directly. To guide all the collecting dust an internal fan included with every vacuum cleaner. It’s located behind the rotating brush and continuously guide the dirt and debris to the filter and next dust bag. Hose give an extended access to cleaner a large area. Some hoses come with attachments for efficient cleaning. It’s made of plastic some are made combining plastic and rubber. 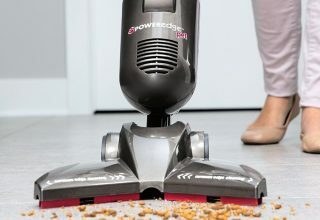 Powerhead or power nozzle is found at the base of any vacuum cleaners. They offer height adjustment capacity of brush roll for different types of floor. They are suitable using any kind of floors form wooden floors to carpet floors. Many power head includes clog port for easy removal of blockages. That power head is lack of clog ports often damage your unit. So, it’s a better option to have. Brush Rollers or rollers brushes are coming with electric power nozzles. They effective on cleaning rugs, carpet, mattress deeply. They run either automatically or manually. You can adjust the speed and heights to prevent damage your bare floors. 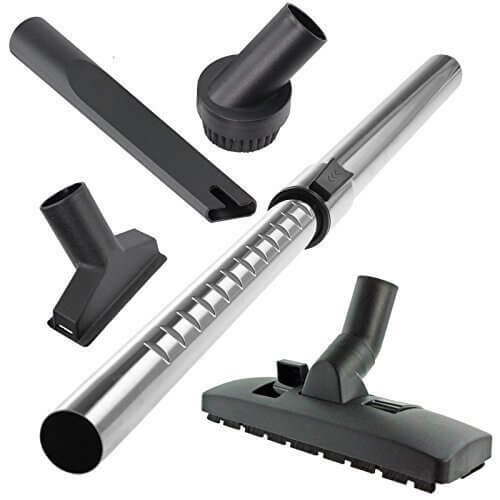 You will find standard vacuum cleaner attachments like dusting brush, crevice tool, and upholstery tool. These are come separately and ask for space to store. Some vacuum cleaner has an onboard storage option to store them. It’s a great idea to have all the tools ready and close to your hand. It also adds a great versatility to the cleaning wand. Attachments like crevice tools are good for cleaning narrow areas like behind furniture or under the furniture. Moreover, dusting brushes work for cleaning hard floors. For the coaches, sofa, drapes or any textile, the upholstery tools are ideal to use. It’s optional but very useful option to use. The headlight of located on the power nozzle and lighten the area you are cleaning. It helps those hard to reach areas clean deeply. You will see better the remote place like under or side of the furniture where the light is either low or it’s totally dark. The control module or digital display is usually used on a central suction unit of a vacuum cleaner. Some cases many residential vacuum cleaners also got control module. 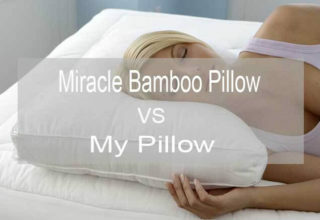 It will show you the current status of bag, filters and other important matters. The belt keeps a cleaner brush roll inactive form. So, it’s better to take care of this vacuum cleaner parts carefully by trying to use clean brush every time. Cyclone technology mainly found in bagless vacuum cleaners were a cyclone funnels all the collected dust into the dust cup. Post-motor filters prevent debris to access the inner mechanism of a vacuum cleaner. Besides, the second one filters particles from an exhausted air and release clean air when vacuuming. HEPA filters can capture almost 99.9% particles some even small .3 microns. So, allergens can be easily removable form furniture and room air easily. Power switch or on/off switch can be located different part of vacuum cleaner. 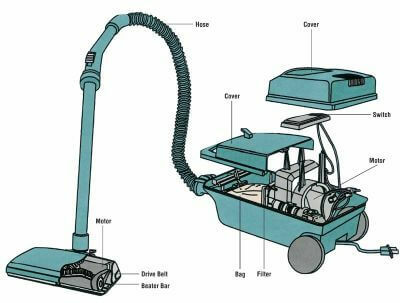 Many canister vacuum has peddled for on/off which can be tapped with the foot. Others contain handles so, you can take brake quickly and easily. Some people find the paddle power switch easily some are handled switch is more accessible. All these part e discuss earlier mostly comes with a handheld, upright, canister etc vacuums. Another vacuum like a robotic vacuum cleaner doesn’t have parts like wand, hose, light etc. however, many companies offer spare parts of vacuum cleaner at an affordable price. So, if you need to repair any of them then you can consider the option either repairing by your own of sending it to repair center. If it’s the brush or cervical tools or other attachments, you can buy it from the manufacture of the vacuum you are using. But if it’s the problem with the motor, control panel etc. Then it’s better to ask help for the customer service of the particular brand. They with replacing/repair the parts of vacuum cleaner within a short period. SweetHomeGuide.com is the best place where you can find home tools, guides and reviews. We will provide you best support for your home improvement. SweetHomeGuide.com is a participant in the Amazon Services LLC Associates Program, an affiliate advertising program designed to provide a means for sites to earn advertising fees by advertising and linking to Amazon.com. Additionally, SweetHomeGuide.com participates in various other affiliate programs too. What Is The Difference Between King And California King?